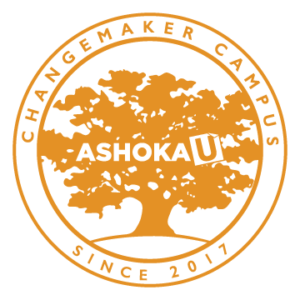 The Ashoka U Changemaker Campus designation is awarded to post-secondary institutions from around the globe that demonstrate campus-wide excellence in changemaking, are transforming higher education through collaboration and thought leadership, and are advancing changemaking in all sectors. “Changemaker Campuses empower students and all university stakeholders to be changemakers, firmly embed changemaking into their culture and operations, and work to address both local and global challenges”1. There are currently approximately 40 post-secondary institutions across eight countries that are recognized as Changemaker Campuses. Four of these campuses are Canadian: Ryerson University, Wilfrid Laurier University, Simon Fraser University, and Mount Royal University. Royal Roads University, Georgian College, and HEC Montreal are positioned to join this global network in 2017. Partnership opportunities, e.g. collaborations with the Ashoka network, which includes over 3,300 Ashoka Fellows working in over 80 countries, unique funding opportunities, and special consideration for Ashoka staff and internship positions.